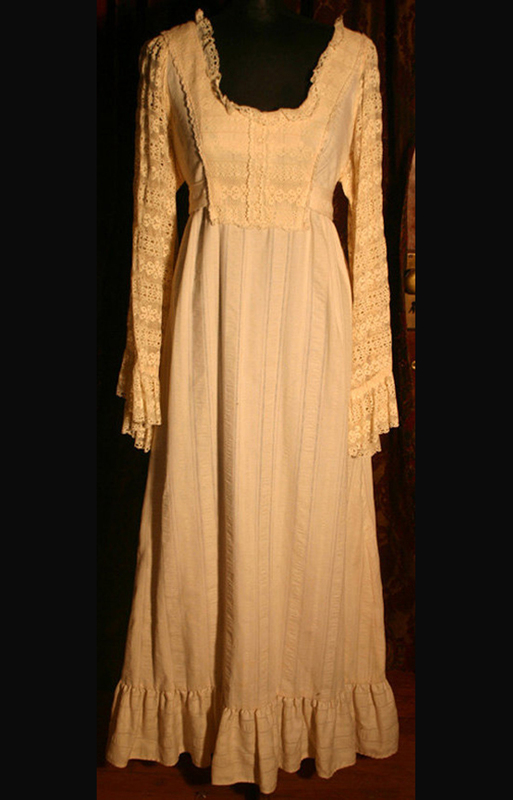 This is a gorgeous Vintage gown in a Gunne Sax style, though I'm not sure if it is Gunne Sax since the designer tag is missing. However, the gown does have a 'union label'. These gowns are becoming harder and harder to come by. The gown is from the 1970's. Made from 100% Cotton. 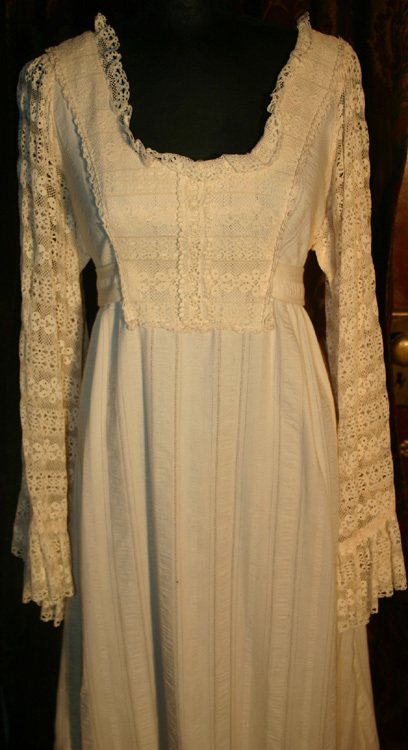 Perfect for a Medieval Peasant costume or Renaissance Faire. Would look beautiful with a corset. Lots of crochet detail and a very full skirt. 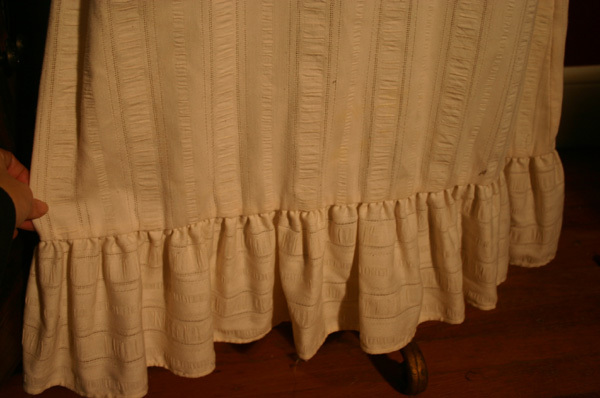 It has a zipper up the back and a long tie that ties in the back of the waist. Empire waistline. 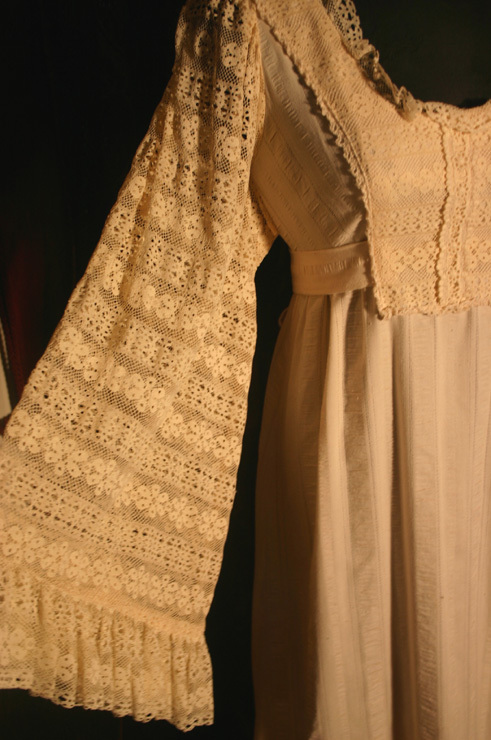 Gorgeous, full lace flowing sleeves. This fits like a Small or Medium. Bust will fit 32-34" around. Waist is 29" around. 54" long. 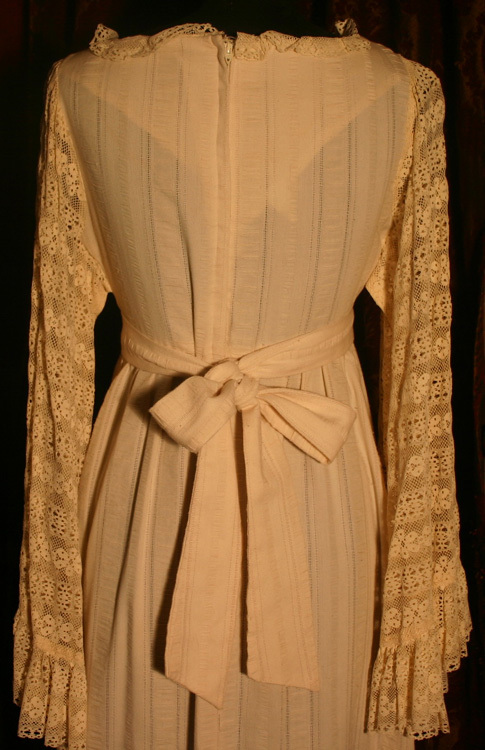 This gown is in Excellent condition! Perfect for a Renaissance Wedding!